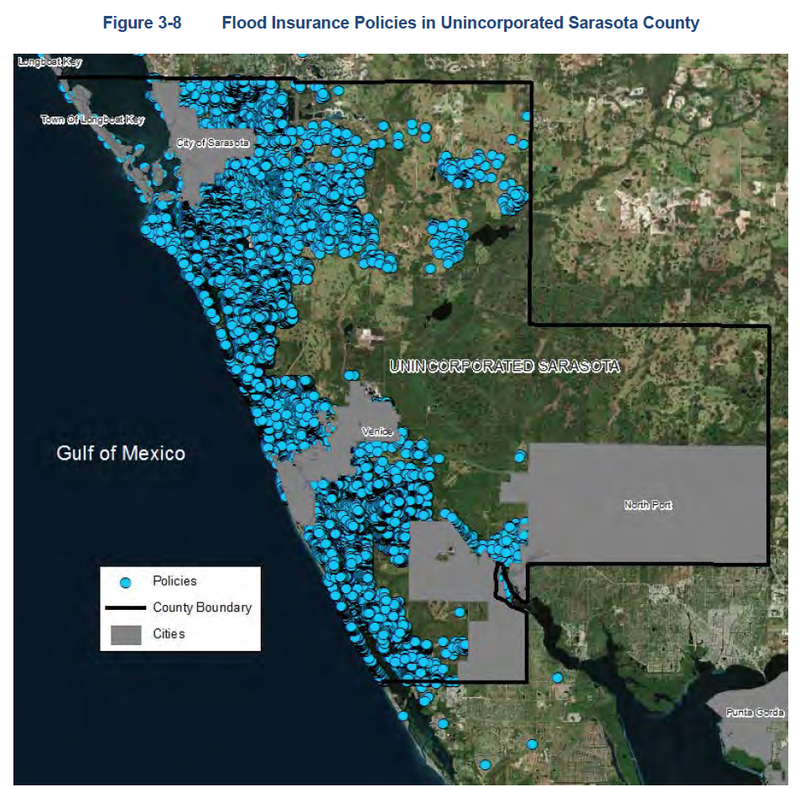 Thanks to Sarasota County’s voluntary participation in an initiative offered through the National Flood Insurance Program (NFIP), Sarasota County property owners save $7 million a year on the cost of flood insurance. That was the good news goods Charles Walter, senior manager of the county’s Stormwater Division, pointed out to the County Commission on Jan. 29. 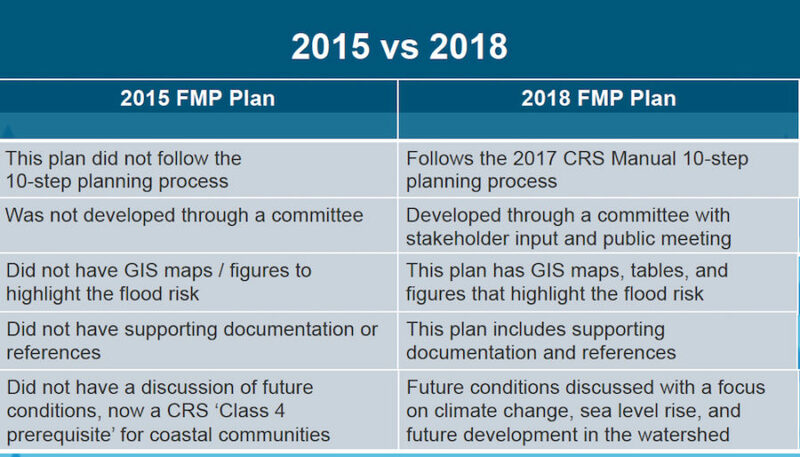 The same day, the board voted unanimously to adopt a resolution approving the county’s revised Floodplain Management Plan and Program for Public Information. The last update of the plan was in 2015, Walter noted. The county joined the NFIP in 1972, he noted. 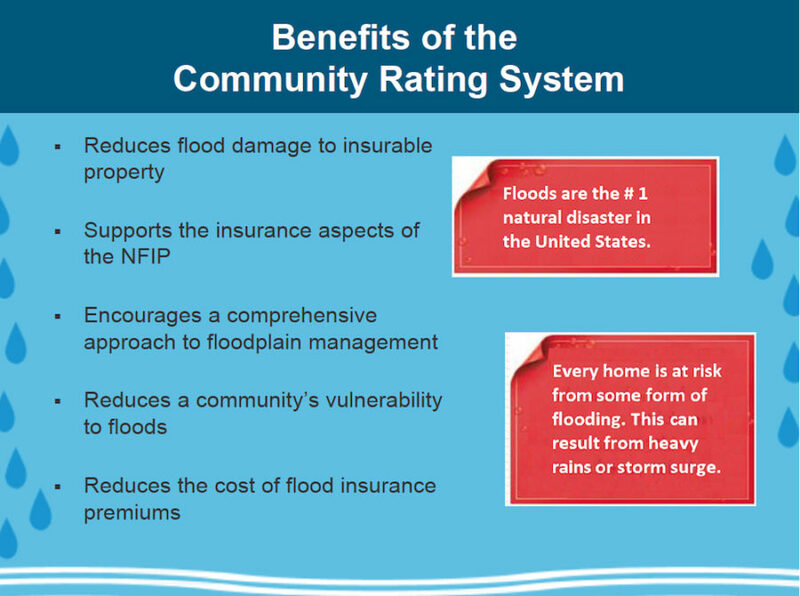 Then, in 1992, the county applied for and won approval to join the voluntary Community Rating System Program, which gives participants credits for their implementation of flood protection activities “that exceed the minimum standards of the NFIP,” a Jan. 29 staff memo explained. For example, Walter noted, the county gets points for its requirement that the finished ground floor of any new construction in a floodplain has to be elevated sufficiently to reduce the risk of damage. The county also gets points for keeping track of the work of its Building Department staff in overseeing such construction, he added. The focus is on reducing damage to insurable properties, he explained. “It’s really the property that was originally permitted under air” on which staff puts its attention, he said. “The CRS is done for everything that’s in basically a special flood hazard [area], and we have quite a few of those in our community,” Walter said. As a result, Walter pointed out, property owners get a discount of about 25% on their flood insurance premiums. The CRS Program includes mapping of flood-prone areas and public education and outreach, he continued. County staff itself undertakes outreach “on a veryregular basis,” he pointed out, holding programs at libraries and community centers, for example. Commissioner Michael Moran told Walter that he was on the board of the Southwest Florida Water Management District (SWFWMD) in 2015, when the previous revision of the Floodplain Management Plan won commission approval. Moran then asked whether staff is making sure it will meet SWFWMD deadlines for submission of materials. After Detert made her motion to adopt the new plan, Commissioner Alan Maio alluded to complaints county staff and the board members hear from the public about the Building Department’s strict implementation of requirements for construction in flood zones. People are inclined to want to enclose the ground levels of elevated homes, Maio said, even though FEMA requires those areas to remain in a state that will allow storm surge to flow through without impediment.